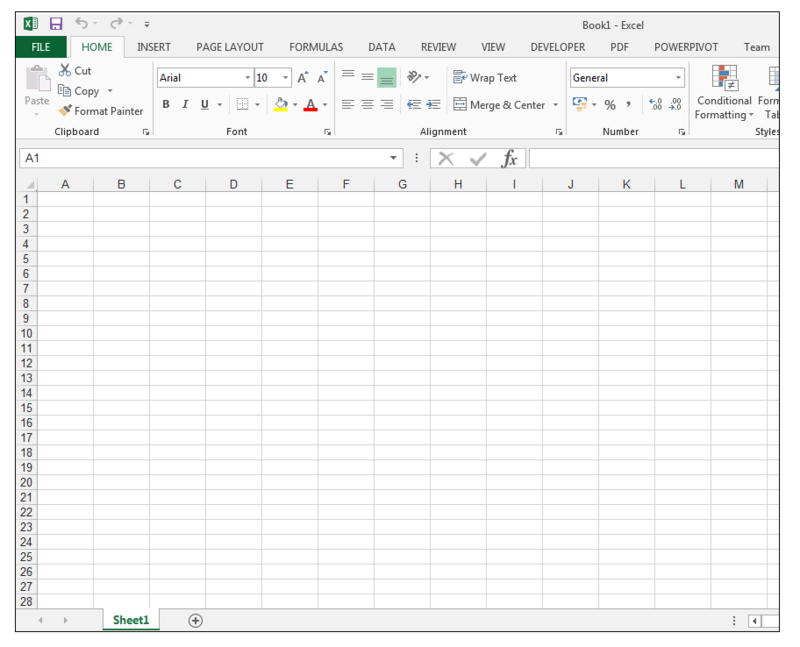 How to Print Excel Spreadsheet with Grid Lines and Change its Color! 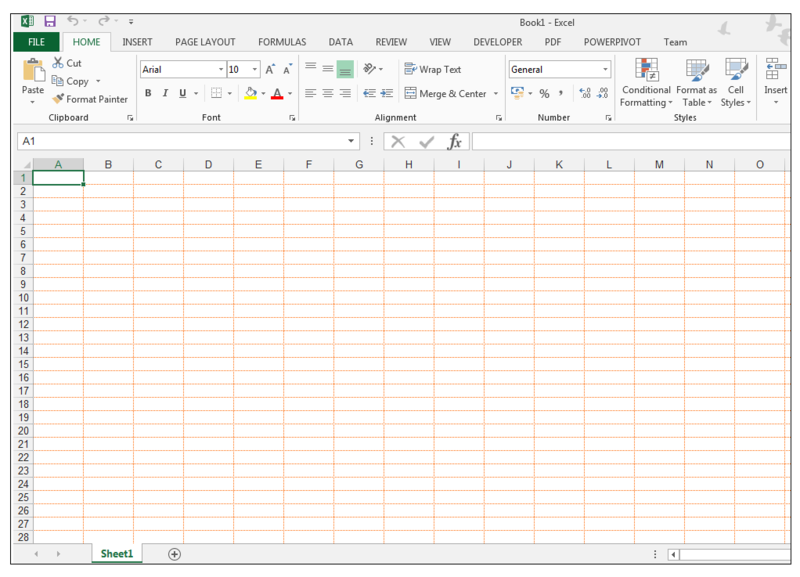 Have you ever wanted to change the color of the gridlines in Excel or perhaps print the gridlines in your worksheet? Well, look no further, since we will show you how to do just that. 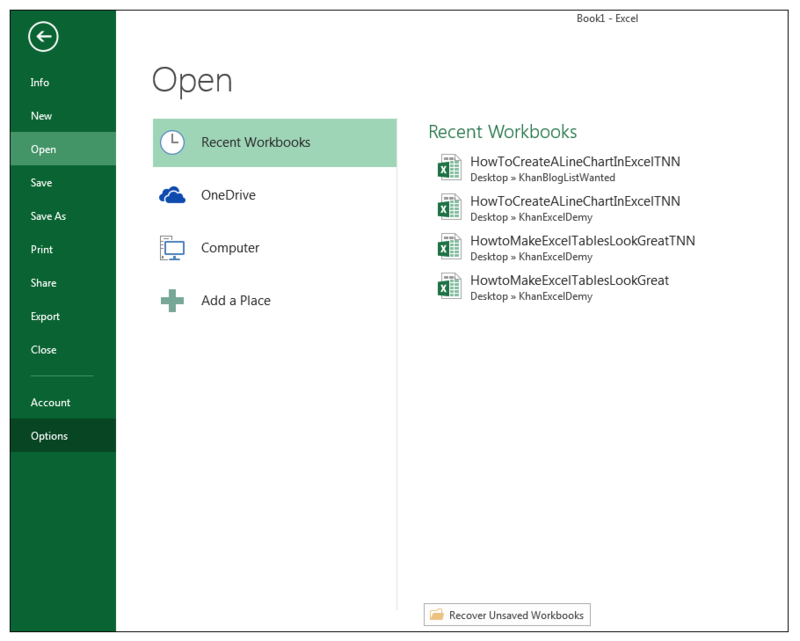 When you open an Excel workbook, you usually get the default display below and the gridlines formatted in the worksheet, in the following way. 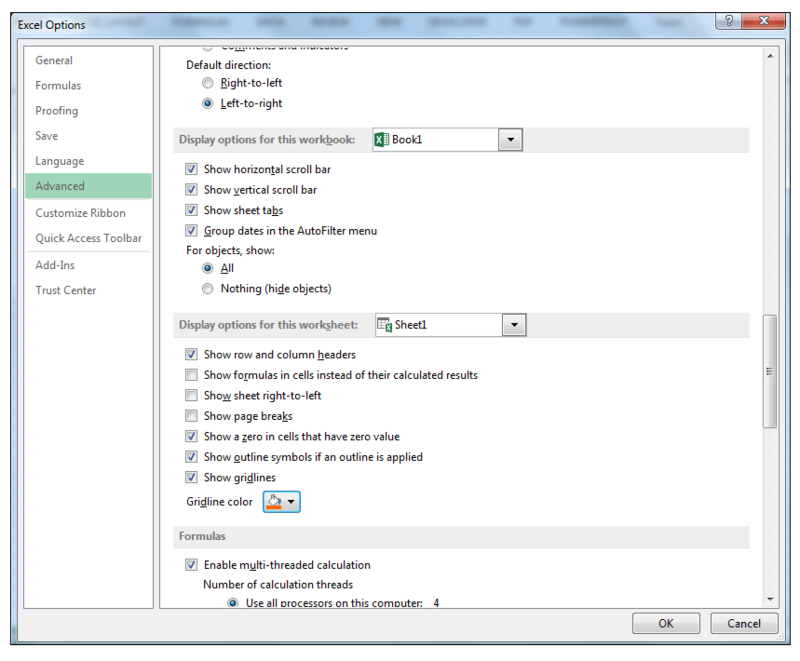 1) In order to change the default appearance of the grid lines, go to File>Options as shown below. 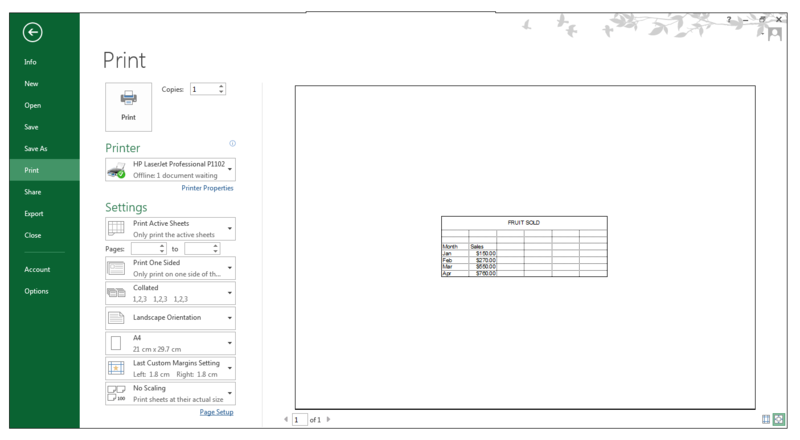 2) Select Advanced and scroll down until you get to the Display options for this worksheet section as shown below. 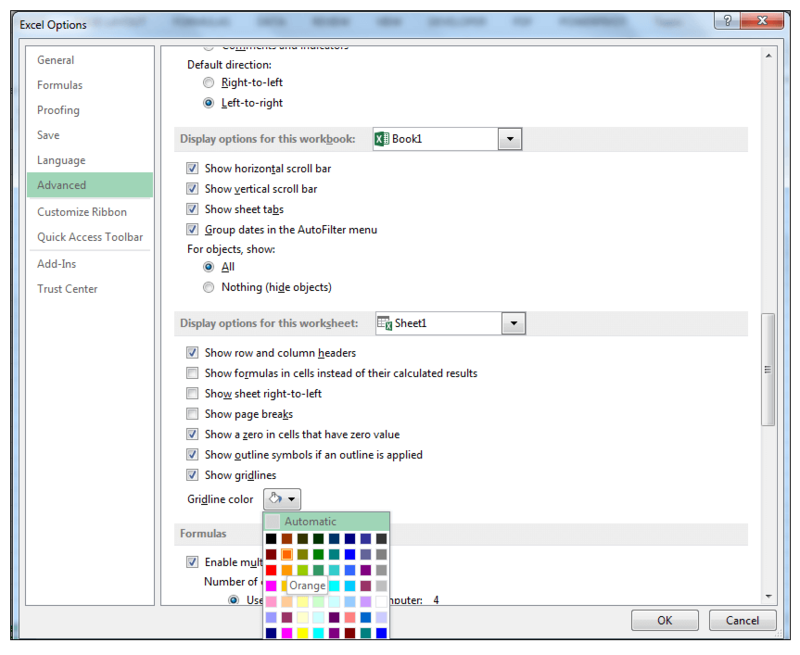 3) Click on the drop-down arrow next to Gridline color and choose a new color, in this case, we’ll select Orange. 4) Click Ok and the effect of setting the gridline color to orange is shown below. 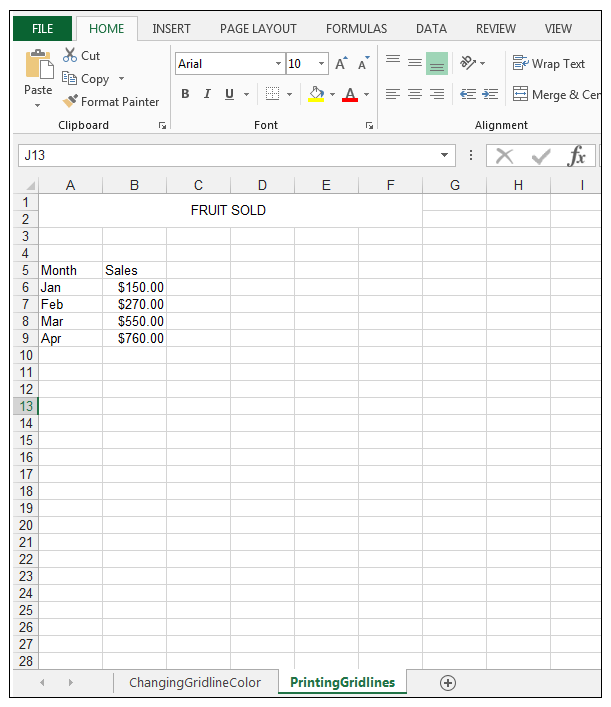 1) We have some data in a worksheet as shown below and we’d like to print the gridlines in the worksheet as well within the range of the data. 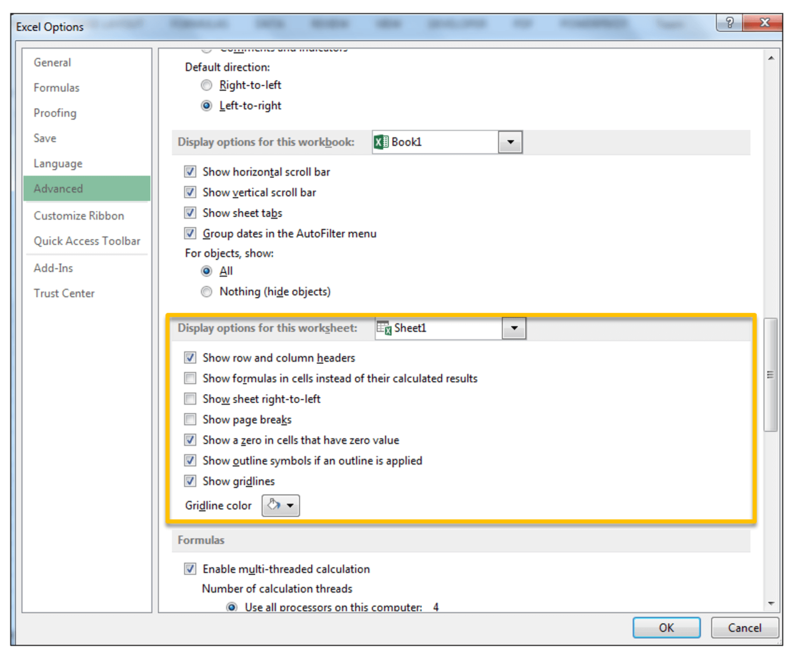 2) Go to Page Layout>Sheet Options and under Gridlines check the Print option as shown below. 3) Going to File>Print, in order to see the Print Preview, should now show that the gridlines will also print as shown below. 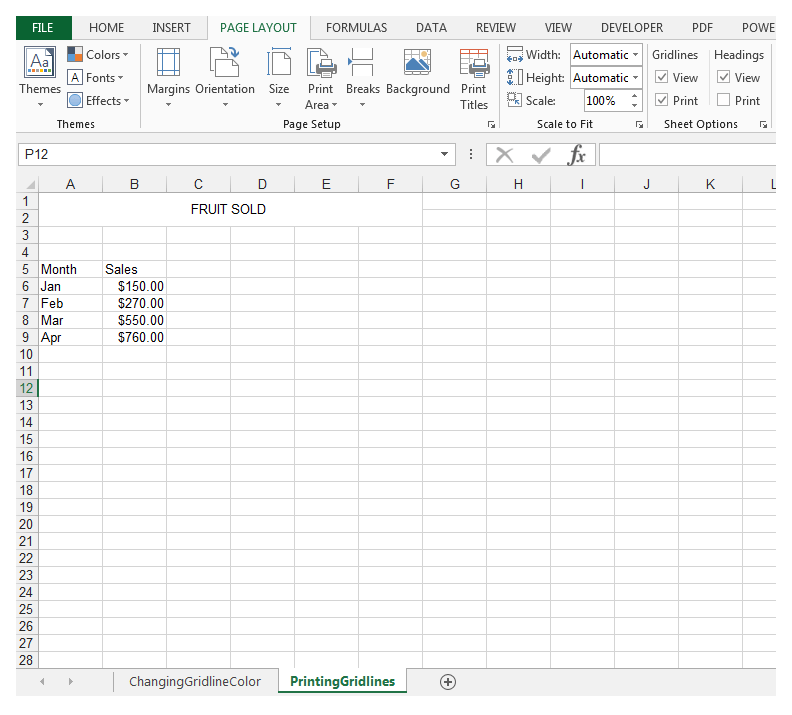 You can easily change the color of the gridlines of the worksheet at hand or print the gridlines in a worksheet if you so choose too, in Excel. Please feel free to comment and tell us if you frequently change the color of the gridlines in your worksheets or if you print gridlines.